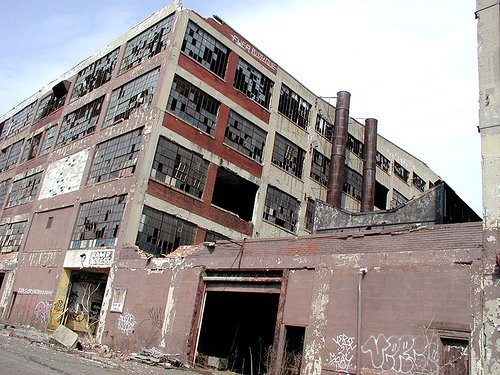 The Packard factory (pictured above) closed in 1956. My grandfather bought one of their last models, being a life long Packard enthusiast. They had been overrun by the big three. Now we are at the point where the big three’s future is in question. This is a traditional song about a mine disaster but it’s fitting for the US auto industry at this time. I changed the lyrics a bit to bring it up to speed and played it on banjo and mandolin. [D] Payday in Detroit no [A] more. Bye bye, my woman, I’m gone. Baby gonna miss me when I’m gone. Won’t be ridin’ easy any more. Payday at Detroit no more.